In a recent health advisory, the Centers for Disease Control and Prevention (CDC) displayed a remarkable level of restraint. At issue were rattlesnake pills. On Dec. 19, the CDC reported the case of a Kansas resident who had become infected with Salmonella after ingesting rattlesnake pills purchased in Mexico. Salmonella can cause severe and occasionally fatal infections of the intestine and bloodstream; every year the bacterium causes 19,000 hospitalizations and 380 deaths in the United States. In the Kansas case, advanced genomic testing found that the infecting strain of Salmonella was an exact match to that found in the rattlesnake pills. The CDC report begged the questions: What are rattlesnake pills? And, more importantly, why would anyone take them? To make a rattlesnake pill, manufacturers take rattlesnakes, kill them, strip off the meat, dry it, and ground it into a powder. 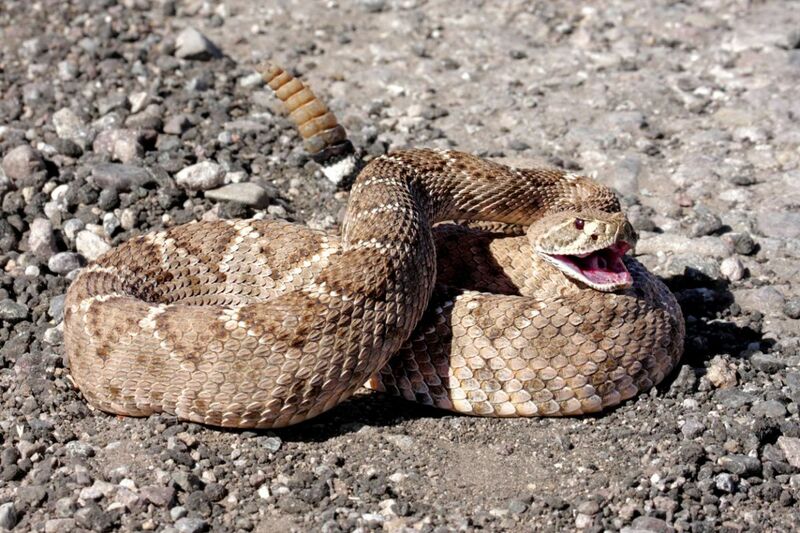 A Mexican home remedy, rattlesnake meat is claimed to cure acne, AIDS, impotence, and cancer. The Kansas incident wasn't the first. In March 2007, John Jones, a microbial epidemiologist at Children's Hospital in Denver, reported the case of a child with lupus who had developed sepsis after being given rattlesnake pills. "Anecdotal evidence linking capsules of dried rattlesnake meat to Salmonella poisoning has been reported for years," said Jones. "These capsules should be removed from the market." As Jones had warned, in 1994, three people died from Salmonella blood poisoning after taking rattlesnake pills in hopes of treating their cancers. In 1987, at least 30 additional cases of Salmonella caused by rattlesnake pills had been reported. None of this should have been surprising. In 1991, scientists investigated 16 different preparations of rattlesnake pills for the presence of contaminating bacteria. They found that all samples were contaminated with one or more coliform bacteria such as Escherichia coli, Klebsiella pneumoniae, Enterobacter agglomerans, Enterobacter cloacae and, most commonly, Salmonella. Eighty one percent of these pills were contaminated with Salmonella. Some of the bacteria found in the pills were probably derived from the feces of the snake that had contaminated the meat during preparation. In its health advisory, the CDC made the following statement (this is the remarkable restraint part): "CDC recommends that you talk to your health care provider if you are considering taking rattlesnake pills, especially if you are in a group more likely to get a severe Salmonella infection." Wait. Talk to your health care provider? To what end? Is there something that the health care provider will say other than, "What are you doing taking rattlesnake pills to cure your [fill in the blank]?" And if your health care provider in any way encourages the use of these pills then you should consider finding a new provider. Frankly, it would have been far more reasonable for the CDC to have stated, "Don't take rattlesnake pills. They don't treat anything and they are likely to contain bacteria that could kill you." In her book, The Spirit Catches You and You Fall Down, Anne Fadiman describes a clash between the Hmong culture — an indigenous people of Asia — and American doctors at a hospital in central California. Fadiman's point is that failing to understand different cultures makes for bad doctoring. True enough. But being open-minded to different attitudes, beliefs, and cultures shouldn't extend to rattlesnake pills that have no chance of treating diseases and every chance of causing bacterial infections in people who are least capable of handling them, like those with AIDS or cancer. Or, as noted by British playwright, novelist, and poet G.K. Chesterton, "Don't be so open minded that your brains fall out."